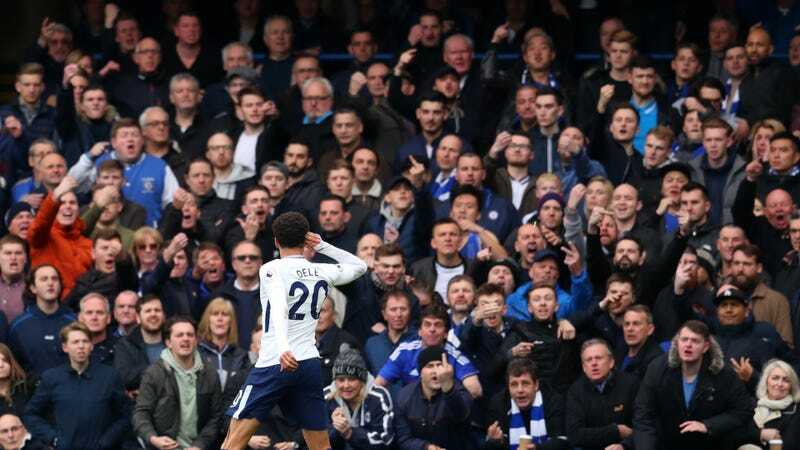 Dele Alli scored twice in Tottenham’s 3-1 victory over Chelsea this weekend. His first goal was a beaut, but as Chris Applegate noted on Twitter, even more gorgeous than the goal itself were the photos, featuring the home Chelsea crowd’s reaction. So many scowls. So many impolite hand gestures. Truly art at its finest.